One thing that was always high on Mr & Mrs Lockett’s priority list when they moved home was a beautiful kitchen. 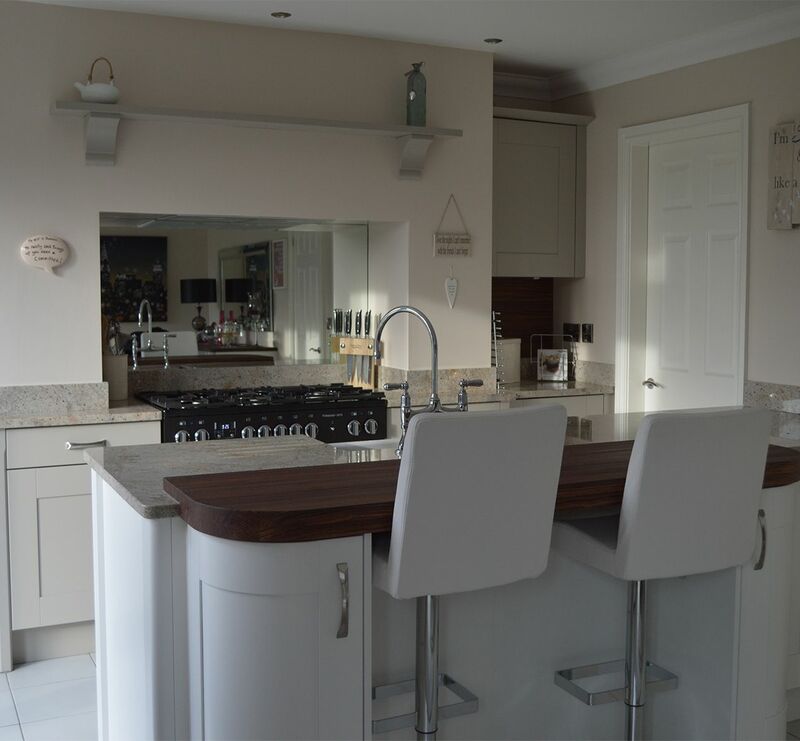 They wanted their old English style kitchen to be the heart of their home, somewhere they could enjoy cooking, socialising and relaxing with the family. With this in mind, Mrs Lockett began to plan her dream kitchen, filling a scrapbook with cut outs from home magazines to build a portfolio of colours, styles and features she liked. ‘The kitchen really was important to us. We changed the whole layout of the house to make room for the kitchen we had in mind, which had to have a huge island! Originally, our home had two big lounges, with an average sized kitchen – so we decided to move the kitchen to one of the bigger lounges to achieve our vision,” explains Mrs Lockett. 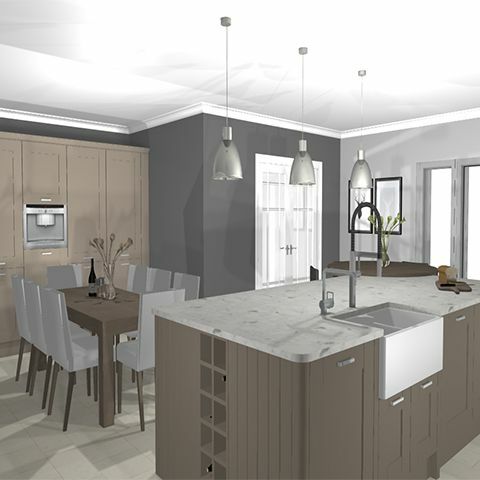 Mr and Mrs Lockett chose to work with the Kitchen Design Centre because they were the only company who could truly provide what the couple were looking for. 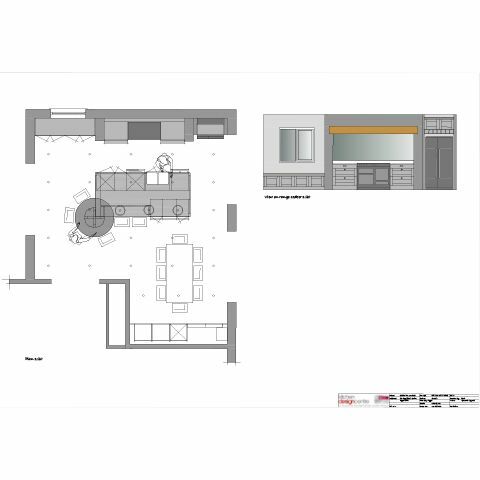 On their first visit to the showroom, the couple showed designer, Paul Harrington, the type of kitchen they wanted and shared their scrapbook portfolio. “Paul took lots of photos of everything we presented him with and told us to come back to see his plans and ideas. When we next visited to see what he’d come up with, we were amazed. He had clearly grasped our ideas and listened to everything we had said,” says Mrs Lockett. 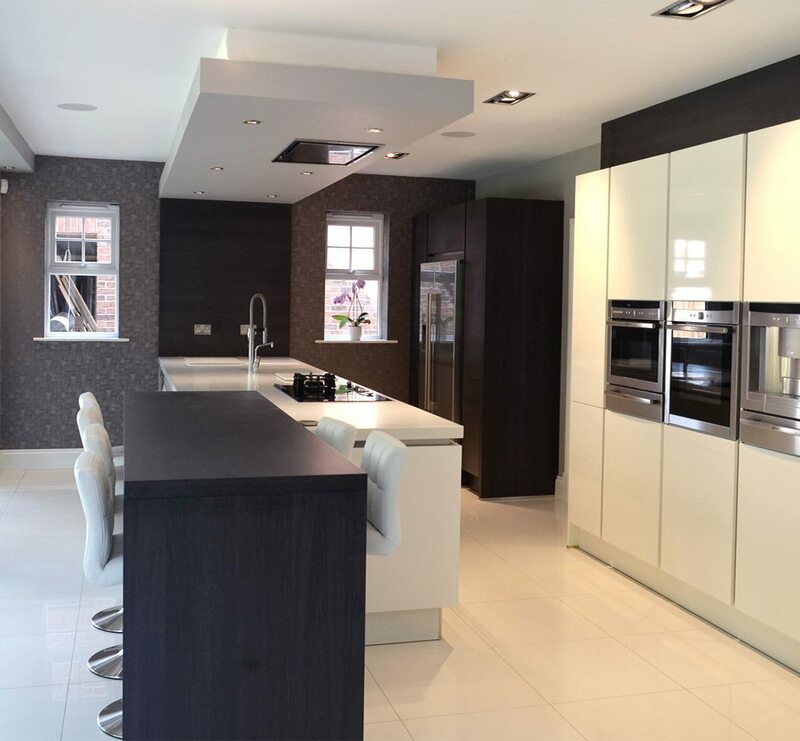 “What’s more, the Kitchen Design Centre managed the whole process for us. Their designer, Paul Harrington, infused some modern elements into the couples chosen traditional style. He prioritised Mr and Mrs Lockett’s main requirements – a breakfast bar for six, a large kitchen island, and a window seat – into the design, whilst at the same time adding more modern features such as a mirror between the units and fabulous appliances. “I told Paul the type of things I needed when it came to cooking and he always came up with the right appliance. They’re all fantastic, modern and up to date. Everything does more than I could have wanted it to!” laughs Mrs Lockett. Just some of the appliances and features Paul chose for the couple’s kitchen were a brand new Quooker, Ilve black 1100 range cooker, and a Belfast sink and Blanco Culina tap. He also kitted out the new kitchen with a range of top notch NEFF appliances including the SS1T69 dishwasher, the C77V60 coffee machine (a personal favourite of the Locketts!) and the G67M70 combi oven. 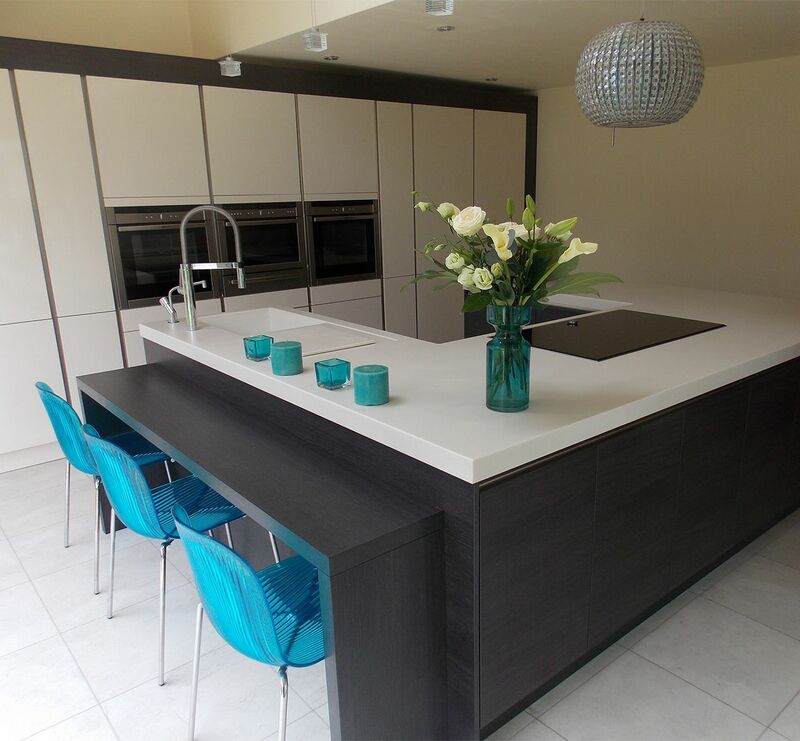 “Paul knew how important a huge kitchen island was to us and he didn’t disappoint. It’s phenomenal – spot on! Paul had worked out the dimensions really well and it fits perfectly,” says Mrs Lockett. The island worktop is finished in one piece with a table cut into the island. 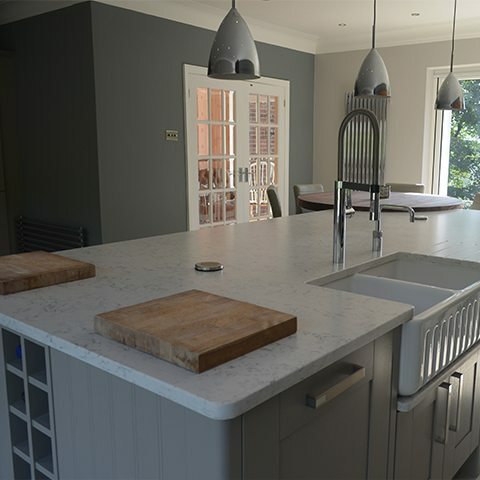 It has a Silestone Lyra suede leather finish to give it that classic, wow factor finishing touch. “The finish is lovely,” remarks Mrs Lockett. The cabinets were also designed to complement the island’s design with their Richmond painted colour suede finish. To give Mrs Lockett the old English kitchen she’d always dreamed of, Paul and his team built a wall with an old finish and large oak beam which sits above the mantle. “It looks like it’s always been there – but it’s actually a new wall! It adds a really classy, rustic touch,” explains Mrs Lockett. "“Our new kitchen is exactly the type of dream kitchen you’d find in a magazine – I adore it!”"
"“Traditional style kitchens are only about a fifth of what we do at the Kitchen Design Centre, they’re not too common but always very enjoyable to get involved with." 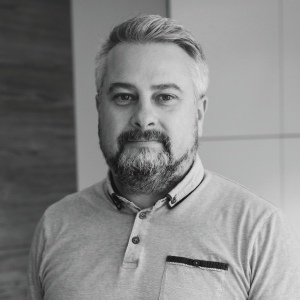 "I shaped the design around the Lockett’s traditional style requirements but added in a few modern twists – which they really liked. They were over the moon with the outcome of the project!”"